Google Fiber has announced that it will pay $3.84 million to the local government in Louisville, Kentucky to fix infrastructure in the city after the tech giant decided to pull out of that market. Alphabet, Google’s parent company, decided to abandon its gigabit broadband plans in Louisville back in February after its plans for “nanotrenching,” or placing fiber cables just two inches under the ground, had failed. As reported by The Verge, the Louisville Metro Government will receive the millions to focus on the areas that have sustained the most damage, including the Louisville neighborhoods of of Portland, Newburg, and the Highlands. 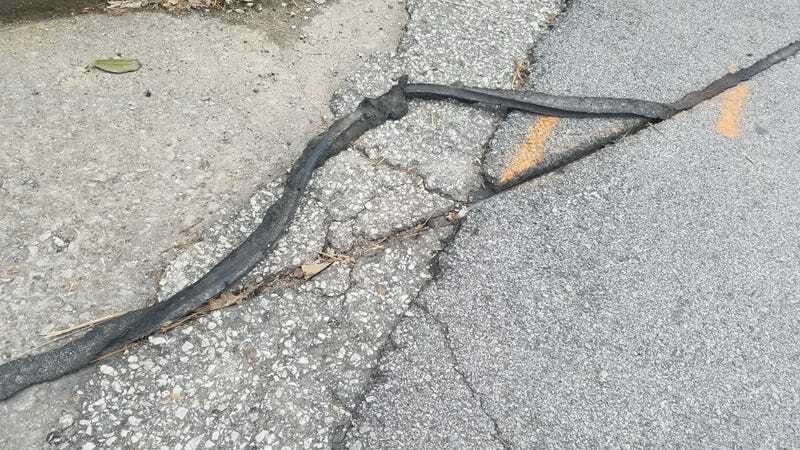 Back in March, writer Adam K. Raymond reported for Gizmodo on the extensive infrastructure damage that has been done to neighborhoods in Louisville, the project leaving miniature 2-inch deep trenches zig-zagging along the roads. Fiber cables are typically buried at least 6 inches underground using a method called microtrenching, but the naontrenching of just two inches underground was an attempt to save money. Google Fiber reportedly succeeded using nanotrenching in parts of other cities like Nashville and San Antonio and it’s not clear why the experiment failed in the Louisville area. But failed it did, as cars that drove over the lines in the road ripped up the epoxy, sometimes leaving fiber exposed. “It’s clear that Google Fiber’s presence in Louisville led other providers to step up and increase investment in Louisville, and that was good news for consumers everywhere,” Simrall said. Google will also donate $150,000 cash to Louisville’s Digital Inclusion Fund, which includes refurbishing used computers for low income residents in Louisville and providing discounted internet access. Google told Gizmodo over email that these would be “additional contributions” on top of the $3.84 million infrastructure agreement. That internet access will now have to be provided by a provider other than Google, of course. “This plan provides for the long-term protection of the city’s infrastructure and empowers LMG to prioritize and execute all aspects of the required work based on the needs of the community,” Mark Strama, General Manager for Google Fiber said in a statement released by the city.